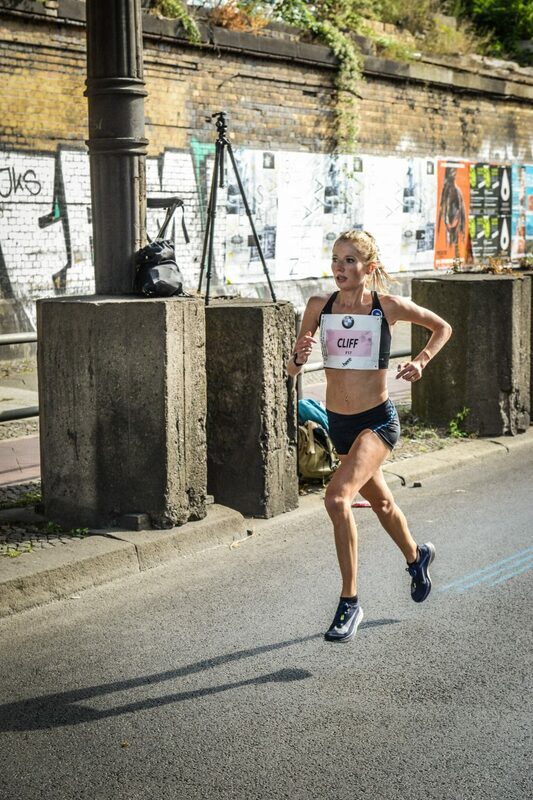 Rachel Cliff, MSc’16, is an elite long-distance runner, specializing in the 10,000 metres, half marathon, and marathon. She is currently focusing on qualifying for the Tokyo 2020 Summer Olympics. Rachel enrolled in a toxicology elective in her second year of undergraduate study at the University of Guelph and was fascinated by the field, particularly the regulatory and human/public health aspect of it. The following semester, she switched her major from a B.Sc. in General Biology to one in Biomedical Toxicology. She learned about the Masters in Occupational and Environmental Hygiene (OEH) program in the School of Population and Public Health at UBC during the final year of her undergraduate degree when she watched a seminar presentation by Dr. Paul Demers, one of the school’s founders. Rachel saw the OEH program as a way for her to expand the knowledge she gained in her undergraduate degree, with the general goal of improving public and occupational health by minimizing environmental exposures and striving to make workplaces safer. After completing her Masters OEH program in 2016, Rachel worked for a year and a half as a research assistant at the Partnership for Work Health and Safety at UBC, before fully committing herself to long-distance running. Making that decision felt like a risk for Rachel. However, she knows there is a finite window in which to be at her athletic peak and she intends to make the most of it. In 2016, she narrowly missed qualifying for the 2016 Summer Olympic Games and described it as “heartbreaking.” After that experience, Rachel knew that she wanted to take her athletics to a professional level for a full Olympic cycle so she could put herself in the best possible position for the 2020 Summer Olympics in Tokyo. While acknowledging the challenging and constant state of fatigue training can bring, she describes that the best aspect of her athletic career has always been and continues to be the process. “Pushing your body to its limits is both an art and a science,” Rachel says. “In athletics, there are always new boundaries to push and ways to improve yourself. As a scientist, I like to think of it as ‘the ultimate science experiment’, albeit one where me, the athlete, is the research subject in a study with a sample size of one.” Approaching her training and racing with this in mind, she understands that every injury is an opportunity for her to learn about human anatomy, every poor workout or race is a chance to learn about human physiology or psychology and address a weakness, and every long run is an opportunity to understand about nutrition and proper fueling. Some of her notable athletic achievements to date include running the Canadian record in the half marathon in March 2018 (1:10:08), qualifying for the World Championships in 2017 and placing 20th (time: 32:00.03), running the fastest debut marathon by a Canadian in 2018 in Berlin (2:28:53), and running the Olympic standard in the 5000m in 2016. An item on her bucket list is to visit every continent in the world, with just Antarctica left on her list. Citing the difficulty in running there, Rachel says she will likely complete that goal after her running career. With her determination and grit, it will be exciting to see what is in store for her next career.